Expert Partner in Microsoft Dynamics & Office 365. Our primary goal at International Software Systems is to help companies utilize technology to solve problems. We implement and support Microsoft's award-winning software, including Dynamics 365, Dynamics GP, and Office 365. More specifically, we are experts in deploying and servicing Microsoft's ERP software, Dynamics GP and Dynamics 365 for Finance and Operations, Business edition. We understand the intricacies of accounting and back-office management of companies in a variety of industries. We empower our clients by assisting and consulting in everyday processes, extending the product to meet unique client needs, and augmenting staff. We are a complete solution provider. 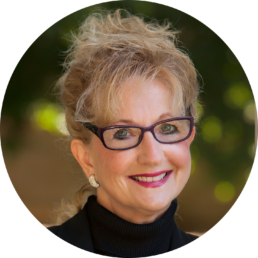 Founder and President, Laura Peters, has been an entrepreneur for over 40 years and is responsible for the creation of three successful businesses: two bookkeeping businesses she sold and International Software Systems. Lee Ann M. Engel Controller, Design Tec, Inc.
Robert Ades, Controller, Fish Co.
Cheryl Jordan, Controller, Omega Cinema Props, Inc.